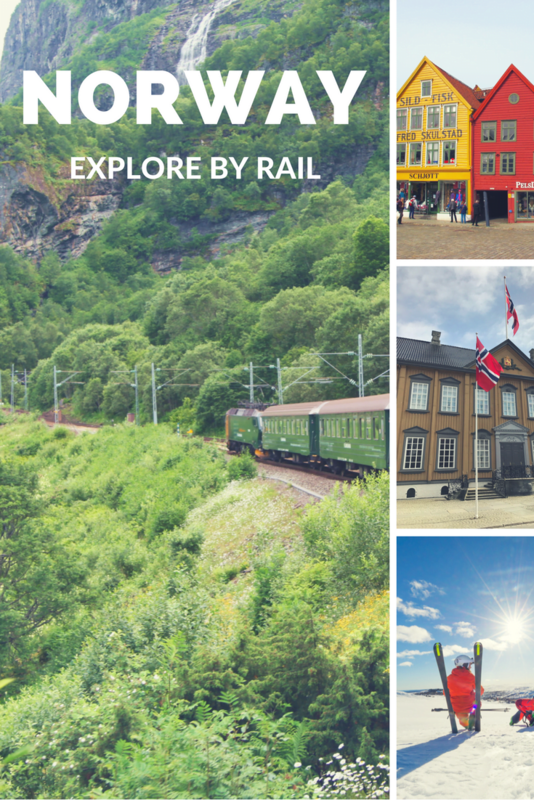 See some of the best scenery Norway has to offer from the comfort of the country's railway network. To some, the train is simply a mode of transport, a method of getting from A to B. But in Norway, some of the trains take you through lush green valleys or over remote mountain plateaus that are otherwise near impossible to see. The Norwegian railway network is more than 4,000km long, with a total of 775 tunnels and more than 3,000 bridges. If you're without a car, the train is your next best option to get up close and personal with nature. Throw in to the mix the fact that fares are surprisingly low when booked in advance, and you'll quickly see why rail travel in Norway is a tourist attraction in itself. Travelling by rail is one of the best travel bargains in Norway. While booking in advance secures the cheapest rates, you should also consider a monthly pass if you are planning on making the train your primary way of zipping around the country. For European residents, a One Country Pass from Interrail offers terrific value. The golden rule for long-distance trains is to buy your tickets in advance! For example, a single ticket for the Oslo to Bergen railway bought on the day of travel currently costs 950 kroner. If you buy your ticket at least 24 hours in advance, you qualify for minipris fares, which can plunge as low as 249kr, although around 350-500kr is more likely. There are only a limited number of these fares though and they do sell out in the high season from June-August, so the earlier you book, the better your chances of a low fare. Note that these fares are non-refundable. Most of the long-distance trains are comfortable with power outlets, free WiFi and a buffet car, but not all trains have power sockets in the standard class. Each train will have a komfort class available for an additional 90kr. Although this is not first class standard, you do get an upgraded seat, power sockets, and free hot drinks from a vending machine. Most trains also have a family carriage with play area, and a quiet carriage where talking on phones etc is not allowed. The free WiFi is patchy on long-distance trains and is unlikely to work for long stretches due to the rural, mountainous nature of many of the lines. It is generally suitable for downloading emails, checking timetables and reading the news, but not for streaming video. There is a night train on each of the main lines between the major cities. The night trains feature sleeping compartments (extra fee) along with the regular train carriages. All passengers receive an eye mask, ear plugs and a blanket for the journey. All trains in Norway are operated by the state railway company NSB. Their website and booking system has an almost-complete English translation, so it's easy enough to book your tickets online. Bane NOR is the state-owned company responsible for the infrastructure of the railway network. Oslo to Bergen: One of the world's most famous railway journeys, and with very good reason. The Bergen Line links Norway's two biggest cities across the imposing Hardangervidda plateau. At 1,237 metres above sea level, it is northern Europe's highest mainline railway journey. As you might expect at some altitude, the scenery is dramatic and ever-changing. Read Maggie's trip report. Myrdal to Flåm: A real feat of engineering, the Flåm railway winds it way from 863 metres above sea level through a lush green valley down to the Aurlandfjord, a branch of the Sognefjord. Yet despite the 20 tunnels and one bridge, the Flåm line was built before the time of computers. Don't miss the museum at the station in Flåm to hear the story and see photographs from the line's construction. 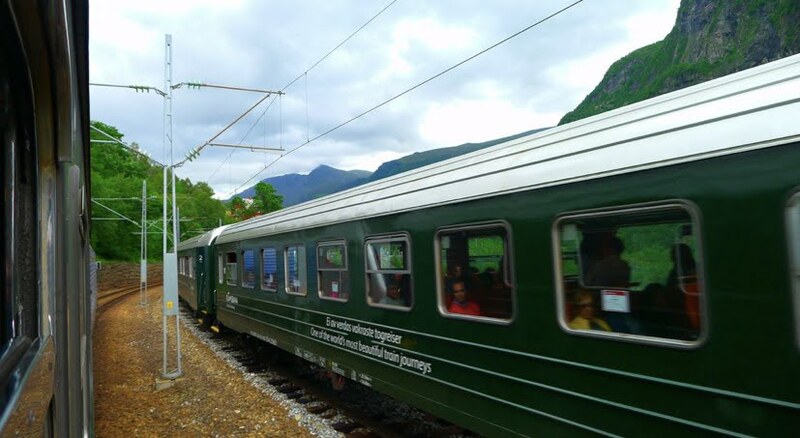 To connect with the Flåm Railway, take the Bergen Line to Myrdal. Here's our guide to the Flåm Railway, or a more personal anecdote. 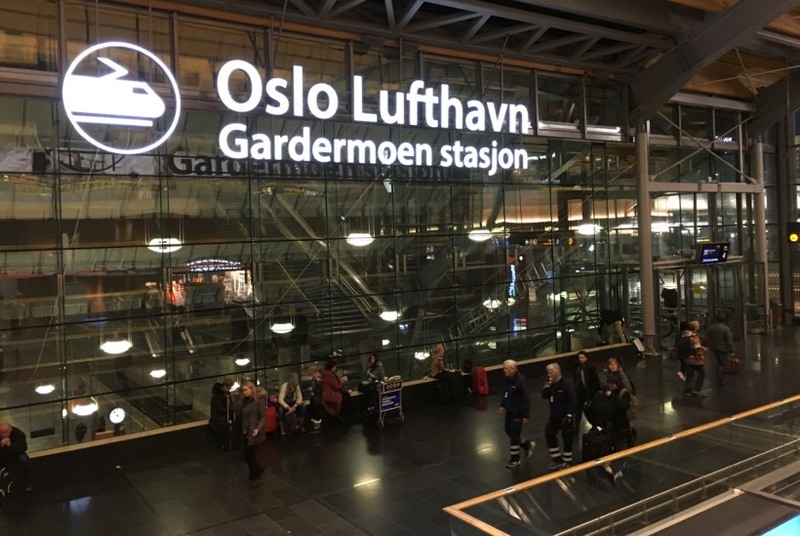 Oslo to Trondheim: While not as dramatic as the Bergen Line, the Oslo to Trondheim railway is a worthy alternative to see some of Norway's mountainous landscape and nature up close. The line soars to more than 1,000 metres above sea level as it slices its way between Dovre National Park and Dovrefjell-Sunndalsfjella National Park. Trondheim to Bodø: At almost ten hours, the Nordland line between Trondheim and Bodø is Norway's longest continuous train service. The 729km route crosses 293 bridges, ploughs through 154 tunnels and crosses the Arctic circle on its epic journey northwards. 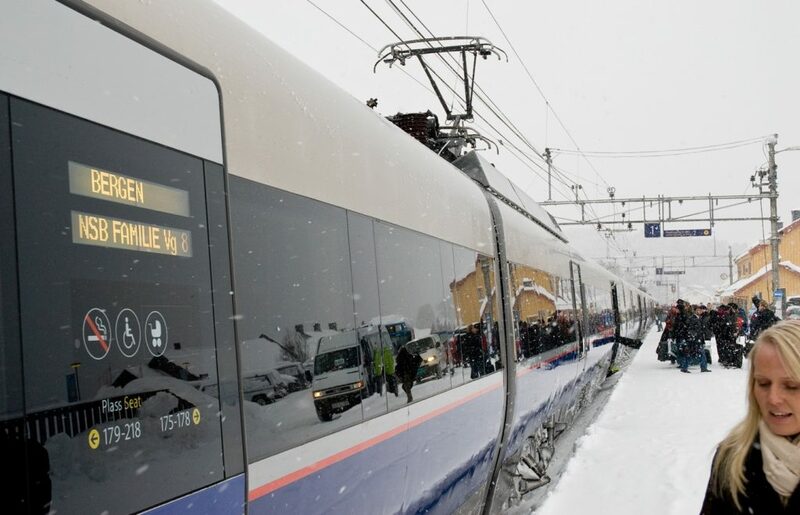 The government is considering plans to extend the railway even farther northward to link Bodø and Tromsø. Oslo to Stavanger: Not as popular with tourists as the line spends most of its journey in forest rather than following the coastline. However, it is a useful means of getting around as it links three of Norway's principal cities: Oslo, Stavanger and Kristiansand.